Skip trivial expressions in initializer lists If enabled, trivial initializers in initializer lists are skipped while parsing. This improves parsing and indexing performance when very large initializer lists are present. Maximum number of trivial expressions in initializer lists to parse Specifies the maximum number of trivial initializers in initializer lists to parse. Any trivial initializer-clauses beyond that number are skipped. 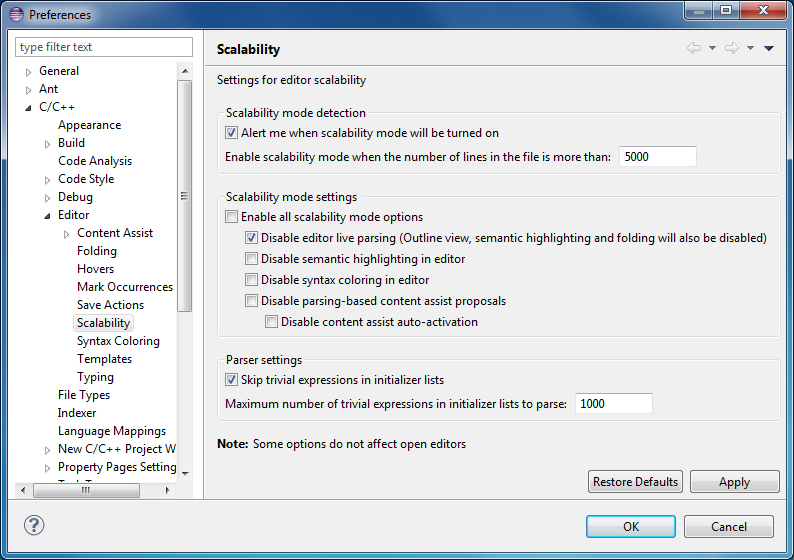 This option is only available if Skip trivial expressions in initializer lists is enabled.